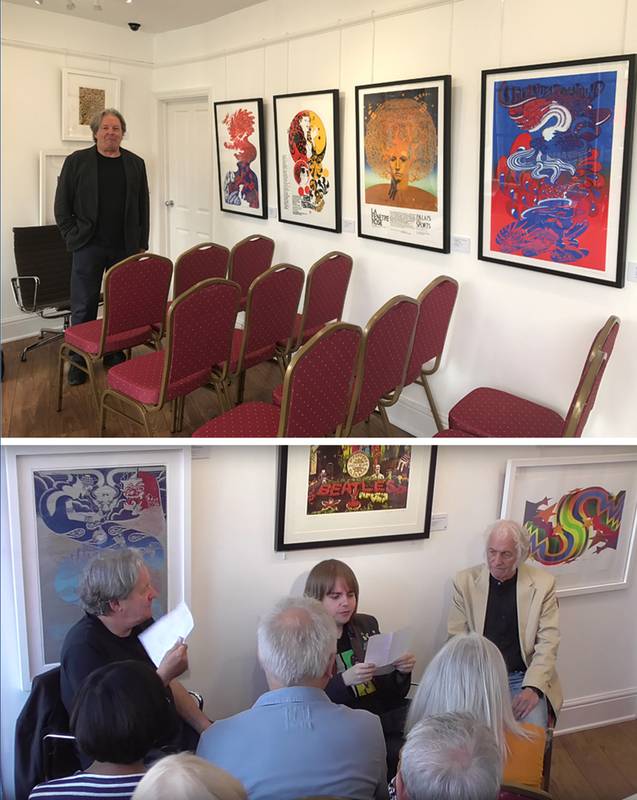 Richard McTague of RedHouse Originals Gallery in Harrogate organised an ‘In Conversation’ interview with myself and Dudley Edwards with Graham Chalmers, editor of the Harrogate Advertiser and co-organiser of the one day multi-media arts event held on Saturday 22 July 2017. The event titled ‘The Spirit of 67’ celebrated the Summer of Love with live performance, exhibitions, a mural, gallery talks and happenings as well as book signing for ‘Sgt. Pepper at 50’ at an exhibition of psychedelic posters produced by myself and the ‘Omtentacle’ studio partnership of McInnerney/Edwards at Redhouse Originals Gallery. The multi-media experience included The Harrogate Symphony Orchestra, beatnik poetry, the premiere of 8 Hour Technicolour Dream by pianist Paul Taylor, classic film shows, a mural unveiling and music by psychedelic rock band The Strawberries and singer-songwriter Nick Ellis accompanied by a light show. 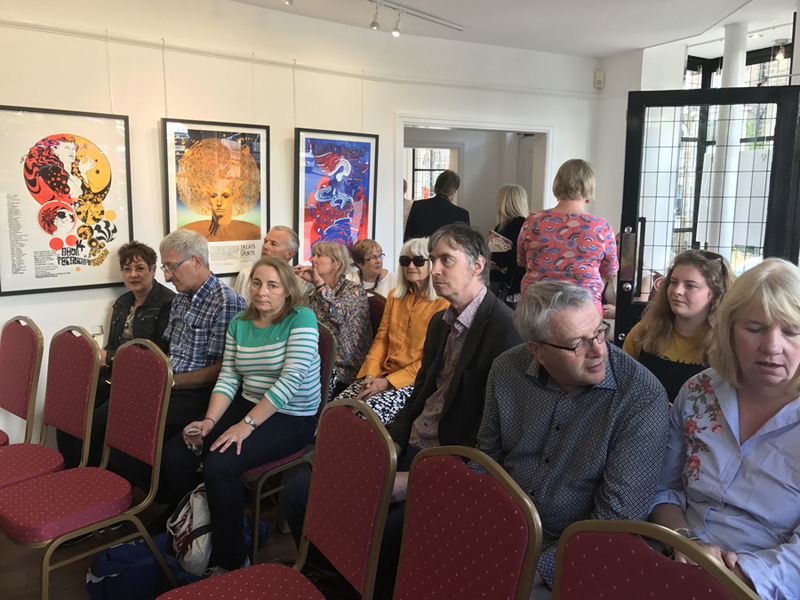 The day also provided a rare opportunity to see and speak with Dudley and the audience about Meher Baba, our work during the short time we collaborated as “Omtentacle’ and the London scene in the mid sixties. It was a lovely day spent in good company set in the solid and substantial setting of a town regularly voted the happiest place to live in the UK.